I wish to thank the author for a copy of this novel which after reading I have chosen to review. Born and raised in the Domesday village of Penkhull, Staffordshire, I graduated in Philosophy at Leicester University. I spent a few years as a singer/songwriter in an indie band before starting a career in social care. I’ve been writing fiction for many years, but my novel writing really took off when I attended writing workshops run by Peter James, Andrew Taylor, Graham Hurley and Laura Wilson. I have a particular interest in psychological thrillers, crime fiction and horror. 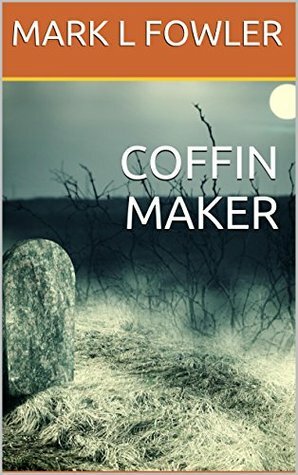 In 2014 I published COFFIN MAKER, a gothic horror novel. This book features the most prolific serial-killer of them all, and as the story opens he has just been sent two apprentices. Some readers have suggested that COFFIN MAKER reads like a fable. In 2015 I published THE MAN UPSTAIRS, the first in a series of detective novels featuring Frank Miller. Frank’s existence is unique, and he knows it. But can this knowledge save him and all that he comes to hold dear? In 2016, SILVER, a psychological thriller, was published by Bloodhound Books. As with COFFIN MAKER and THE MAN UPSTAIRS, there is a vein of dark humour running through the story.